Our helical-bevel servo gear units are ATEX-compliant and belong to equipment group II. They’re reliable, durable and low-maintenance: the ideal foundation for a wide variety of servo drive solutions in potentially explosive atmospheres. Your application is in a potentially explosive atmosphere and you need torques in a range from 40 Nm to 1220 Nm? Then we recommend our ATEX-compliant, low-backlash BS.F helical-bevel servo gear units. Their permitted acceleration torque ratings are significantly higher than these values. 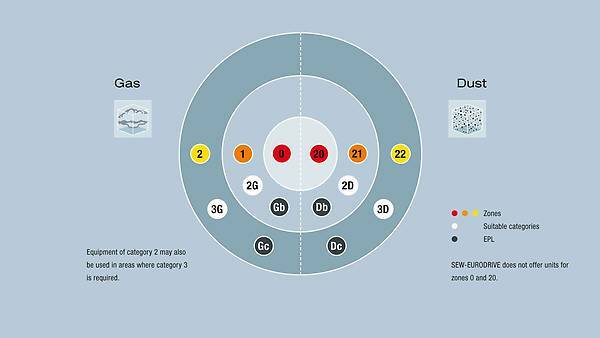 With six sizes and five output variants, this series is incredibly versatile. With a compact build, the BS.F helical-bevel servo gear units have a low rotational clearance, even in the standard versions. You also have the option of reducing the rotational clearance further. Rotational clearance will remain consistently low for the entire servo gear unit service life due to the wear-free operating performance and high-endurance design of the running gears. Only half the solution without a motor? 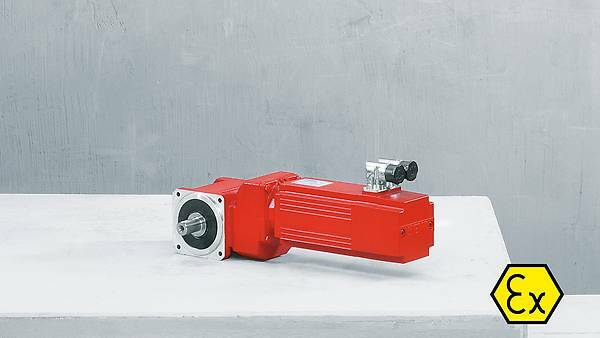 Then use our sophisticated modular concept and combine the explosion-proof servo gear units of the BS.F series with the explosion-proof servomotor of your choice. thanks to the high torsional rigidity of the gearing geometry throughout the entire gear unit service life. thanks to the helical input stage combined with a hypoid output stage. wth the B5 mounting flange that optimally integrates the drive unit into every application.